New To The Windshield Repair Process? Here's What You Need To Know - Ultra Bond, Inc. When it comes to windshield repair, many car owners don't quite understand how the process works. However, it's important to be aware of the basic information about windshield repair technology. Here are some answers to common questions about windshield repair resins and the overall windshield repair process. What does the windshield crack repair process consist of? The windshield repair process entails filling the crack with a special windshield crack resin that, when exposed to UV light, solidifies and adheres to the damaged area. The process takes about 30-45 minutes on average and fully restores its strength, but it is a highly technical procedure that is best performed by a professional. How should I prep my vehicle before the repair? The most important step in preparing your vehicle for a windshield repair is to make sure that it is fully dry for at least 24 hours prior to the repair. This is because excess moisture can cause some windshield repair resins to lose their clarity. There is only one known waterproof resin named, Rain Resin. The only other major step in the preparation process is to schedule your appointment, but most auto repair shops can usually get the job done within a day or two. How do I know if my vehicle's windshield needs repaired or replaced? Typically, stone-breaks up to two inches in diameter and single line cracks up to 14 inches are repairable. According to the National Glass Association, most chips can also be repaired if they are not located directly in the driver's line of vision. Chip repairs are preventive maintenance that can prevent a future replacement however, long crack repairs are a 60%-75% immediate and 100% effect savings from a replacement. Ten crack repairs saves ten replacements. 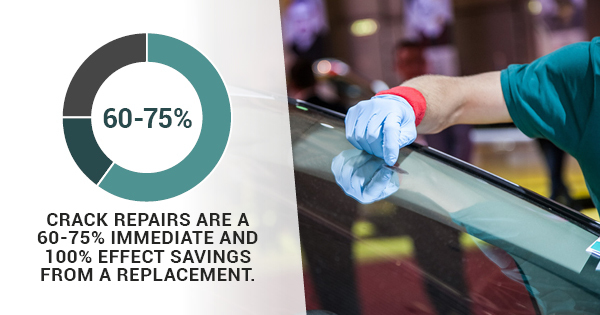 Ultimately, the National Highway Traffic Safety Administration classifies a car's windshield as one of the primary components of a vehicle's safety restraint system, and any repairs or replacements should be scheduled as soon as you notice the damage. These are just a few answers to some of the common questions surrounding windshield repairs. Whether you are in need of a simple crack repair or a full replacement, it's imperative to understand how the process works and know your options. In order to know your options see the windshield repair industry standard (ROLAGS). For more information about windshield repairs or windshield crack resins, see the windshield repair standard named the Repair of Laminated Auto Glass Standard and then talk to a professional auto glass repair shop after you have read the standard in order to protect yourself from an unnecessary replacement.